I Just Hope Both Teams Have Fun T-Shirt. Funny Saying Shirt for sports nuts and positive sport fans everywhere. 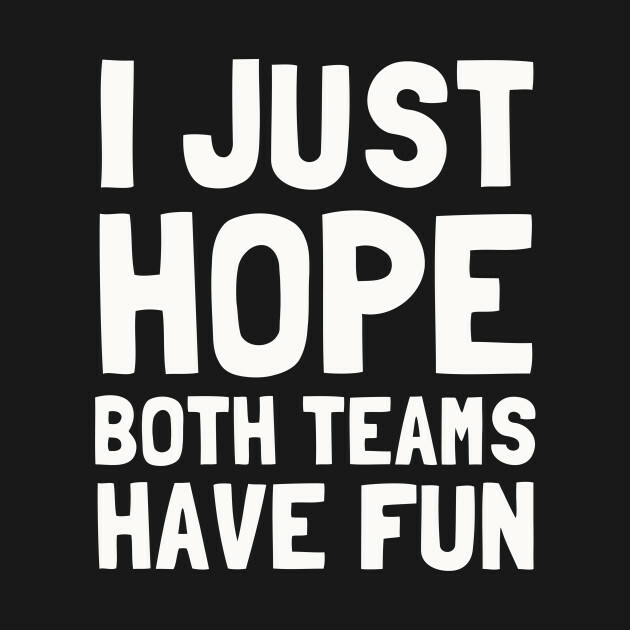 Original I Just Hope Both Teams Have Fun Shirt Design featuring classic funny saying text artwork.